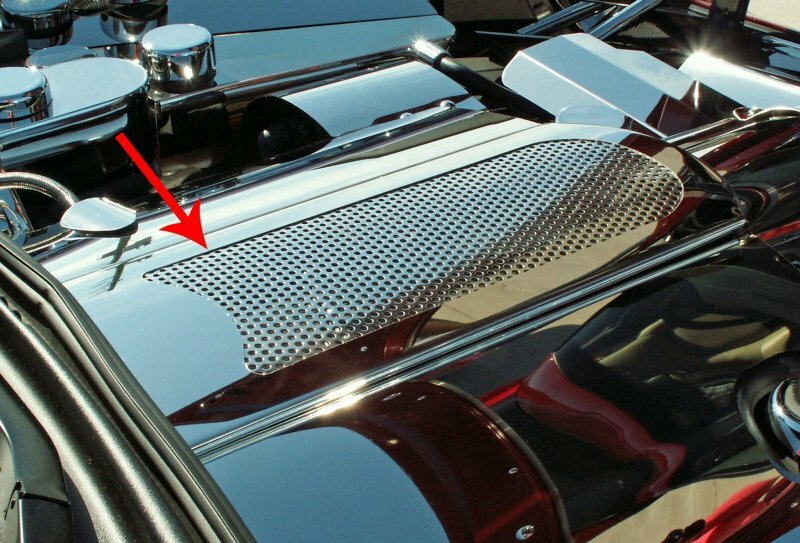 This polished Stainless Steel Plenum Cover will bring a beautiful, sleek appearance to your C6 05-13 Corvette's engine. This work of art is custom made from premium 304 stainless steel, which is guaranteed to never pit, rust, tarnish or change color. 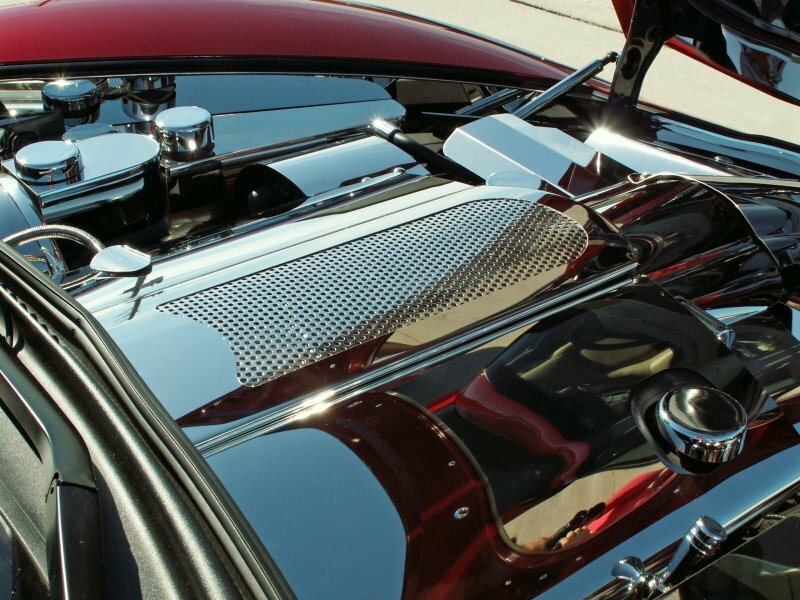 These stainless engine covers are specifically built and engineered to endure high engine heat. This perforated plenum cover comes in two styles- perforated plenum and a low-profile perforated plenum. This perforated Plenum Cover goes over the intake manifold area and includes a perforated insert for a one of a kind, custom fabricated look. Perforated Style Fits all 2005-2013 C6 Coupe, Convertible, Z06, and Grandsport Corvettes. Low-Profile Perforated Style fits all 2008-2013 C6 Coupe, Convertible, and Grand Sport Corvettes. Please use the drop down menu above to make your style selection.